Wednesday, March 25 1908 -- Finally the big fight between Fireman Jim Flynn and Battling Johnson comes off, and by all accounts there are ten rounds of wall-to-wall action. The Los Angeles Examiner calls it as a win for Flynn, while the Salt Lake Tribune calls it a draw. Because of L.A.'s boxing laws, there is no absolute decision since technically it is an exhibition match. In weazel skin hat news, a mysterious thirteenth guest almost arrives. A hundred and change years ago, well before the word 'robot' was even invented, the idea of humanoid automatons was in the public psyche. Comic strips of the day featuring mechanical men (and ladies) don't even feel the need to make explanations about the concept -- they just assume that their readers are well aware of it. Isn't it interesting that in the span of a hundred years we've made incredible technological advances undreamed of by the typical Victorian, yet one of their basic assumptions about the future of technology has still not yet come true. Robots, at least in the generalized duty form typically envisioned, have never appeared, and are still squarely in the realm of science fiction. And that reminds me. Where the heck is my rocket-propelled jet-pack? I grew up fully expecting that, and it never materialized. Boy, the future sure is a disappointment in some ways. 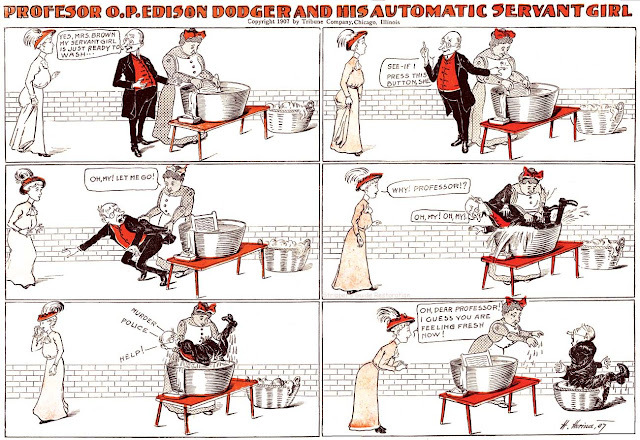 Anyway, here is Hans Horina's short-lived robot series, Professor Dodger and his Automatic Servant Girl. 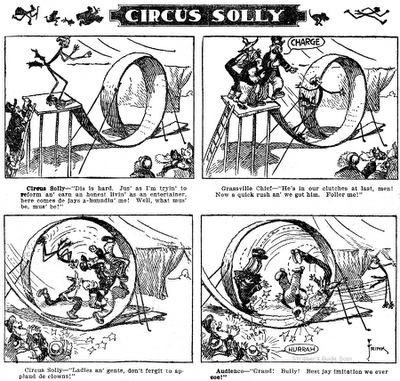 It only ran from November 10 to December 1 1907 in the Chicago Tribune Sunday comics section. 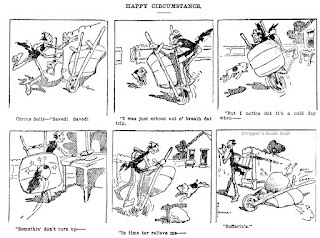 While this bit of fluff isn't exactly giving Jules Verne a run for his money, one thing I do find interesting is that Horina eschews the typical robot comic strip plot wherein the robot goes berserk, with the inventor muttering something about "it just needs a little adjustment' as mayhem goes on around him. No, Horina takes a different tack; the Professor has built a perfectly dependable machine -- the only problem is that the batty fellow can't see worth a darn and keeps punching the wrong buttons! 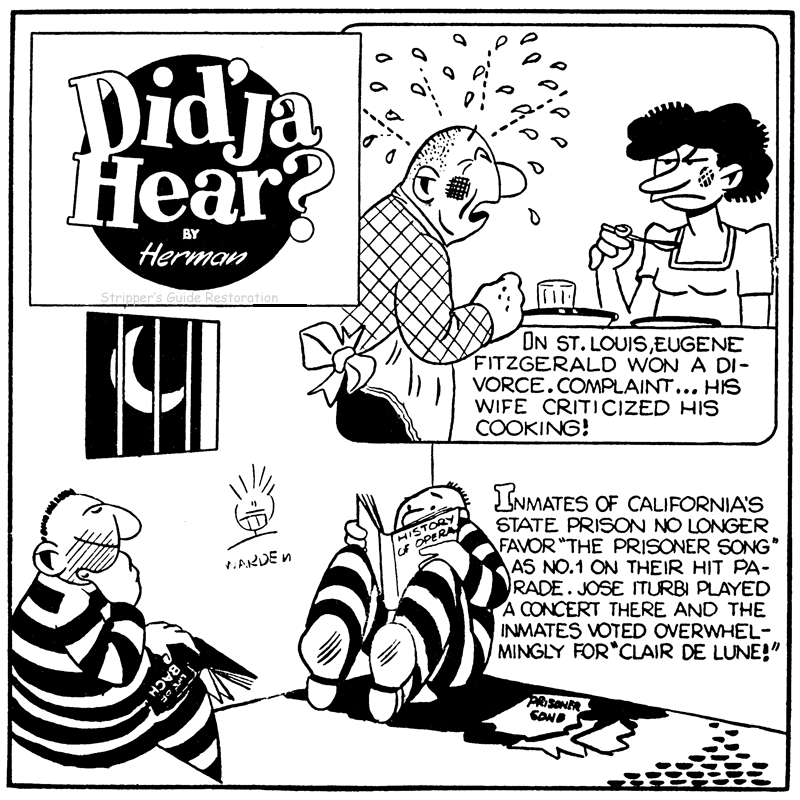 Obscurity of the Day: Did'ja Hear? Most of the features distributed by the Western Newspaper Union syndicate are fair game as obscurities, but the various panel cartoons they offered in the late 1940s even more so. 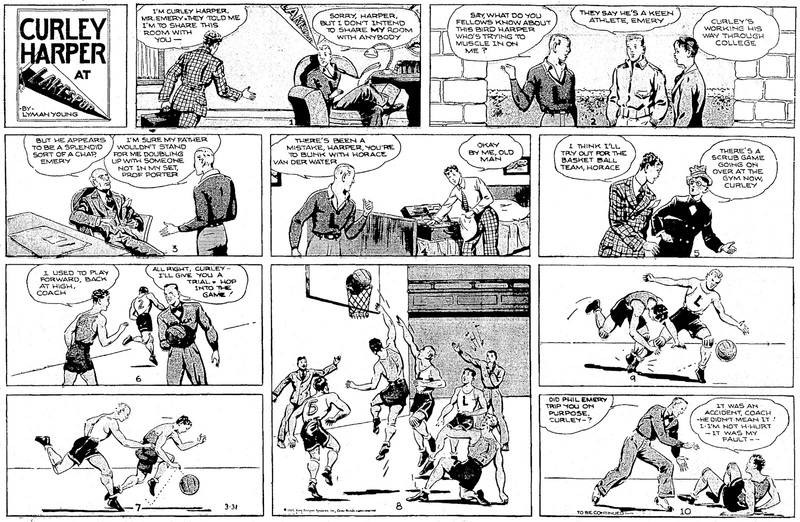 Most of the weekly papers that took the WNU service ran the page's worth of strips they offered, but few ran many of the panels, and those who did use them seldom did so consistently. That's why I don't think I'm doing all that bad to say that today's obscurity, Did'ja Hear?, ran from sometime in 1948 to sometime in 1950. Trying to pin the date down any better than that would require that I find that needle in a haystack, a newspaper that ran all the WNU material every week. Sigh. A boy can dream, can't he? Did'ja Hear? is yet another in that seemingly endless list of Believe It or Not clones, and it sure didn't bring anything original to the form in terms of content. What it did have is some pretty darn nice stylized art; much different, and for my money much more eye-catching, than the realistic style used in Believe It or Not, Strange as it Seems and others. Unfortunately, I don't really know who did the art. The panel was bylined 'Herman'. But which Herman? I dunno. Nat Edson was born Nathaniel Edelstein in Brooklyn, New York on February 1, 1909. His date of birth is from the Social Security Death Index, and his birthplace was named in the magazine, Young Wings, April 1950. In the 1910 U.S. Federal Census, he was the only child of Samuel and Dora, both Russian emigrants. They lived in the Bronx, New York at 1789 Fulton Avenue. His father was a self-employed tailor. You never can tell what circumstances will start a boy on a career. It was an accident I had when I was five years old that launched me on my career as an artist. Our home was in Brooklyn, New York, where I was born. In those days the city had not as yet caught up with our house. There were still many farms around and plenty of hills for coasting on sleds in the winter and on bicycles in the summer. One day the front wheel of the bicycle on which I was riding with another boy struck a rock and over we fell. The next six years I spent in a hospital, for I was completely paralyzed. Since I could not use my legs, I soon started drawing the things around me. When this got tiresome, I made things up and lived much of the time in a dream world. As soon as I was able to play with other boys and the girls down on the lawn or in the sand lot, we built castles out of mud and sticks. During the first World War there was an army training camp near our hospital, and the soldiers often came over to play with us. One of them showed me his drawings and gave me some helpful instructions. Later, after I left the hospital, I studied for a short time at the Art Students' League and had some training in teaching art at New York University. Edson’s home in 1920 was in Brooklyn at 541 Van Siclen Avenue, where he lived with his widower father, brother Jerome, and maternal grandparents; his grandfather, also a tailor, was head of the household. Around 1925, his father remarried to Annie according to the 1925 New York State Census. They lived at 156 East 29th Street in Brooklyn. …In the early 1930s it was the young Alex Raymond and he was followed by Charles Flanders, Burne Hogarth, and then Nat Edson. Physically handicapped, Edson had begun working for King Features as an office boy and then moved into the art department. He developed an effective and personal variation of the Raymond style and drew Tim Tyler from the middle 1930s to the middle 1940s. While working for Young, Edson created the Sunday topper page Curly Harper, which began in March 1935…. Edson has not been found in the 1940 census. From the late 1940s to 1972, he produced material for a number of comic book publishers, especially westerns for Dell Publications and Western Publishing. His contributions to the Roy Rogers comic book was noted in Roy Rogers: A Biography, Radio History, Television Career Chronicle, Discography, Filmography, Comicography, Merchandising and Advertising History, Collectibles Description, Bibliography, and Index (1995). Some of his comic book credits are at the Grand Comics Database. Who’s Who said he retired from comics in 1972. Edson passed away May 28, 1974, in Los Angeles, California, according to the Social Security Death Index. The California Death Index, 1940-1997, at Ancestry.com, has identical information for him as Nathaniel Edelstein and Nate Edson. A death notice was published in the New York Times on May 30 and 31, 1974. Edelstein—Nathaniel (Nat Edson) of Los Angeles. Loving brother of Lorraine and Jerome. Fond uncle. Services Friday, 11:30 A.M. at Gutterman’s “Nassau Memorial Chapel” Long Beach Rd. at Greystone, Rockville Centre, L.I. He was buried at the Riverside Cemetery in Saddle Brook, New Jersey, according to Find a Grave. Some profiles have his death occurring in 2001; it is not known who or what was the source was of that date. AskArt.com has an example of his portraits. Very nice profile of Nat Edson. 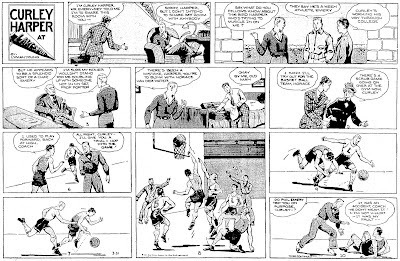 Actually, he was Tim Tyler's Luck ghost par excellence, working on the strip continuously for ten years, 1934 to 1944 (although Al McWilliams did a brief stint in 1935), before the drawing was handed over to Clark Haas and then to Tom Massey. 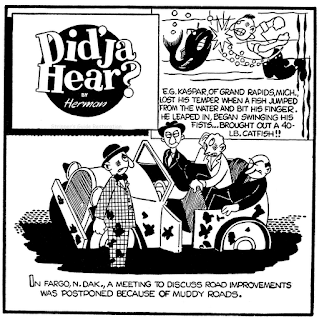 His work on the Gene Autry strip is also mentioned. In fact he worked on it for about a year in 1954-55, after Tom Massey and before Mel Keefer. There, too, he was a ghost, hidden behind the house name "Bob Stevens" ("Bert Laws" was Albert Law Stoffel). Gene Autry was packaged by Western Printing, where Edson did most of his comic-book work. If I remember correctly, the very last things he did for Western were text illustrations in Walt Disney Comic Digest. But of course he's best remembered for Roy Rogers, Annie Oakley, Wagon Train, Gene Autry. He also drew Disney's Kidnapped film version and such non-western strips as The Detectives.
. I never heard Nat referred to as Nate.
. He lived on and Indian reservation in Taos, NM for a time in the 50s.
. He was never married that's why you couldn't find the record although he had a lady friend for awhile.
. Although he died in LA, his service was in Rockville Centre, NY because that's where we lived. Thanks for the information, Ellen. The reporter mistook Nat's lady friend for his wife. George O. Frink was born in Indiana in June 1874, according to the 1900 U.S. Federal Census. He was the youngest of two sons born to Erastus and Lotta (Charlotte) as recorded in the 1880 census. The family lived in Indianapolis, Indiana. The Indiana Marriage Collection, at Ancestry.com, said Frink married on August 30, 1893; his wife’s name was not stated. His age was recorded as 21, which would place his birth in 1872. Frink was the head of the household in the 1900 census. The family included his mother, brother and uncle; they lived in Indianapolis at 310 West Sixteenth Street. He was divorced and worked as a newspaper artist. 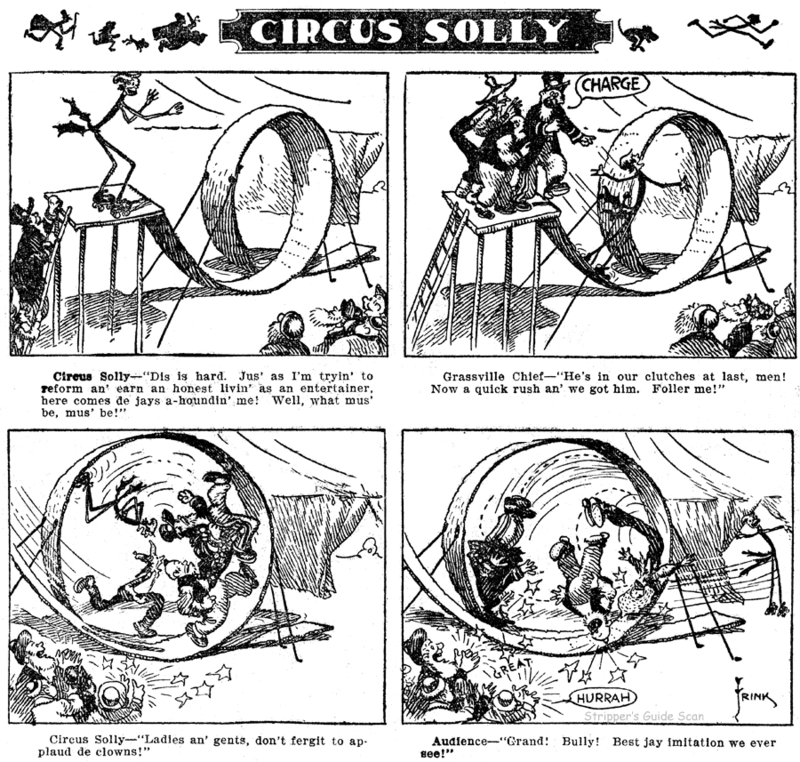 His most famous strip, Circus Solly, ran in the Chicago Daily News beginning in 1904. 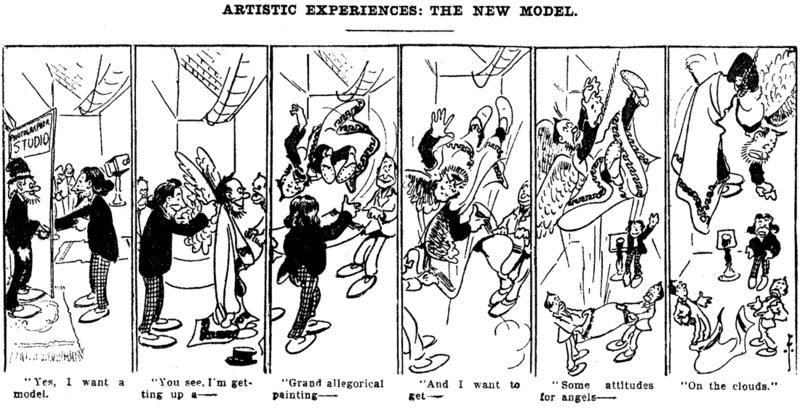 (samples at Barnacle Press) The April 1903 issue of The Muse reviewed the second annual exhibition of newspaper artists of Chicago at the Art Institute. There were nearly 900 items in a variety of media on display. Below is the commentary on the artists from the Chicago Daily News. L.D. Bradley, the stalwart cartoonist of the News, who writes strong editorials in his pictures, has loaned a number of his famous and finished drawings to this exhibit, and the artistic family of which he is the head is numerously and strongly represented. C.F. Batchelder presents clever character work; B E. Key a lot of bright, snappy sketches; George O. Frink, strong sketches replete in fun; likewise H.T. Webster and R.H. Garman. Among his many series was The Goat Family (samples at Barnacle Press).He produced Getting Wise for the Chicago Daily News in 1909. …George Frink, an authentically funny cartoonist who is hardly remembered today; he also illustrated two Peck’s Bad Boy books: “Peck’s Bad Boy and the Circus”  and “[Peck’s Bad Boy] and the Cowboys” . Frink’s style was sketchy and filled with native humor. His art was original but reminiscent of McCutcheon, Joe Donahey and early Herriman. 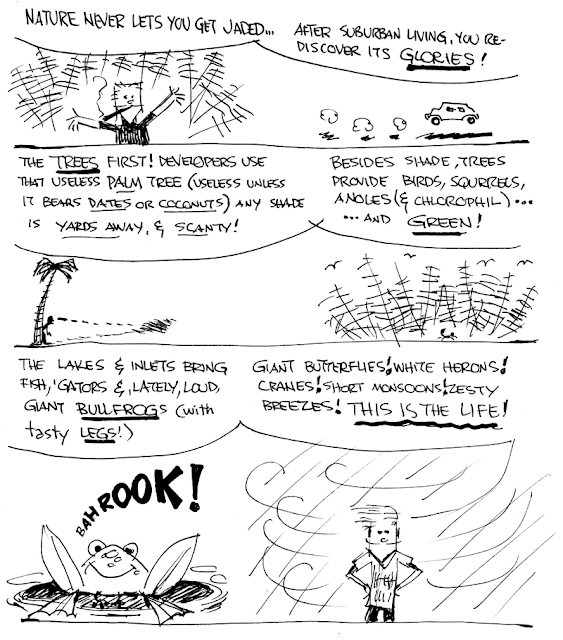 There was free movement in his panels and as much slapstick as in Opper…. 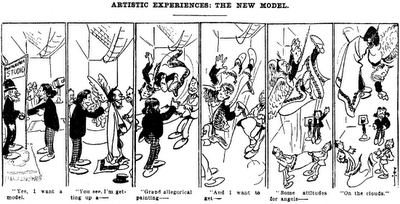 John McCutcheon’s cartoons and caricatures will be identified without resort to explanatory notes. The other artists implicated are F. Finch, of the Denver Post; F. Fox, of the Chicago Post; Kin Hubbard and Garr Williams of the Indianapolis News; George O. Frink of the Chicago News and Lawrence Erickson of New York City. Frink did not sign his drawing, but a drawing on page 57, Studebaker protests against Fairbanks, appears to be in his style. Horn also wrote, “Frink, who signed only his surname to his work and left his first name a mystery to comic historians for years, died in 1912.” Lambiek Comiclopedia said “Charles (George) Frink” died in 1911. His demise was greatly exaggerated. Frink’s mother, the head of the household, and uncle were living with him in Chicago at 5021 Cottage Grove Avenue, as recorded in the 1920 census. His profession was an artist, but under the census column, Industry, it said General. Apparently Frink was no longer employed at the News or any newspaper. In the 1930 census, he was an institutionalized patient at the Elgin State Hospital, a mental health facility in Illinois. According to the Illinois, Deaths and Stillbirths Index at Ancestry.com, Frink passed away November 17, 1932 in Elgin, where he was buried at the Bluff City Cemetery. The profile mentions George Ade, John T. McCutcheon, F. Finch, F. Fox, Kin Hubbard, Gaar Williams, George O. Frink, and Lawrence Erikson. Every one of them was a Hoosier, most by birth, except that I don't know Lawrence Erikson's connection to Indiana. F. Fox was of course Fontaine Fox. F. Finch was Frank J. Finch (1879-1950), also known as Doc Bird, cartoonist for the Denver Post and Kansas City Post and an early collaborator with Damon Runyon. 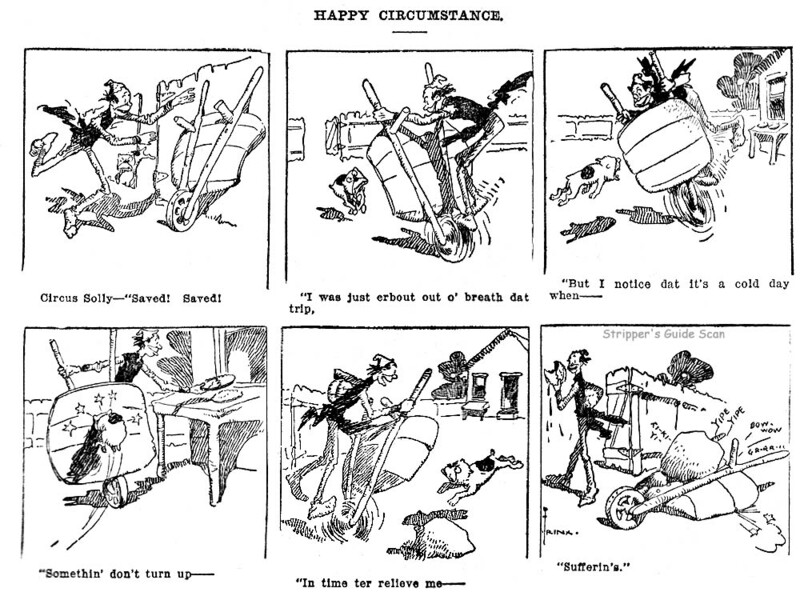 This is a rather loose sort of series by one of my favorite zany cartoonists of the 1900s, George Frink (even his name sounds zany!). The only real commonality among the strips is that they are titled with the word 'Experiences', so, genius that am, I pounced on it as a series. 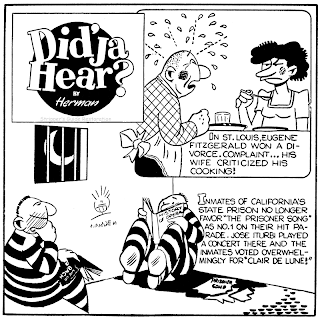 Frink's Experiences were on display in the Chicago Daily News' daily b&w comics page. I recorded the running dates as March 15 to June 3 1902, but Cole Johnson, who supplied the samples above, claims he had a few from February. Not terribly surprising, I suppose, that I didn't catch on to this being a series right away while I was indexing the microfilm.